Kelly's Konfections: Happy Birthday, Oreos! It's been a crazy couple of weeks at school leading up to Spring Break, and now Cat and I are in MEXICO! Woohoo! 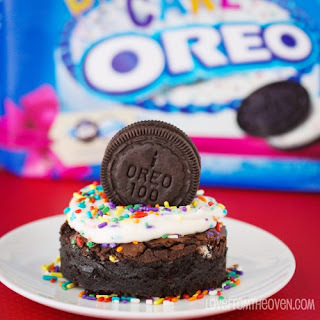 I can't exactly bake anything here, HOWEVER: Oreo's 100th Birthday is March 6th, and I couldn't let it pass without a post. 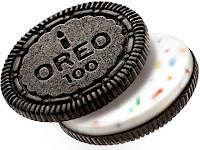 HAPPY BIRTHDAY, OREOS! To celebrate, they have come up with an incredible new special edition Oreo... Birthday Cake Oreos. Oreos + Birthday Cake filling = Happy Kelly. Bonus- they made my room smell like Lucky Charms! Not sure if I've made that clear in the past, but I do. If I could marry them, I would. I had to stop eating them when I was put on my chocolate ban, but now I can and my love for them never lessened. These pictures are major throwbacks. As in sophomore year of high school throwbacks. As in six years ago... Old. 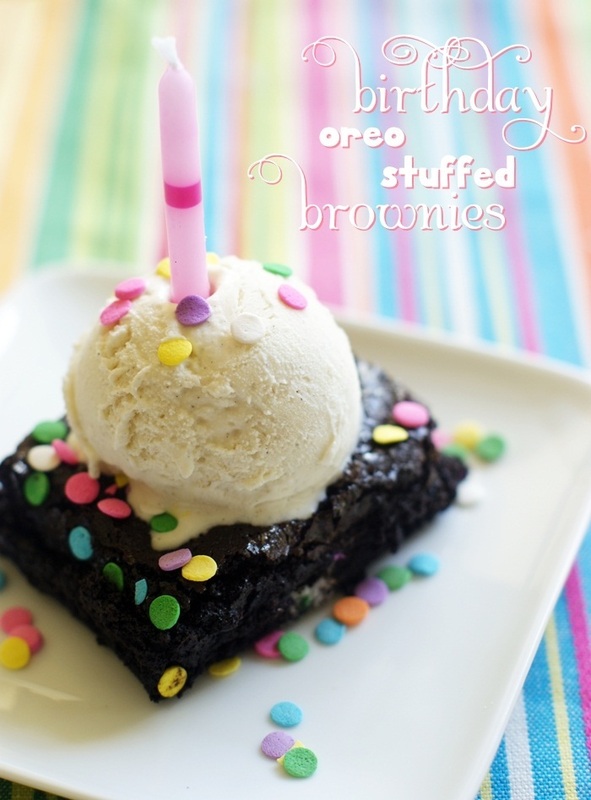 I planned on making this cake with the amazing birthday Oreos, but ran out of time. That last week before Spring Break is always B-A-N-A-N-A-S (that song is how I learned to spell bananas. No big deal.) So these pictures will have to do. 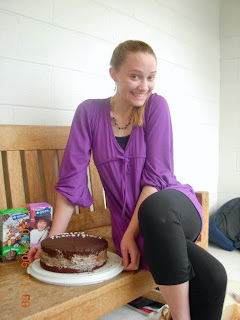 I've been using this recipe for years, just like the Chocolate Chip Bundt Cake. 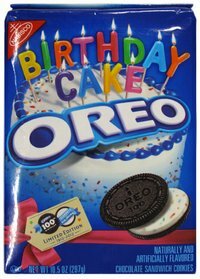 I think the Oreo Cake is from Kraftfoods.com. 1. Prep two 9-inch round cake pans. 2. Prepare and bake cake mix according to package directions. Cool 5 minutes, then remove from pans. Cool completely. 3. Beat cream cheese and sugar in large bowl on medium speed. Gently stir in Cool Whip and Oreos. 4. Microwave chocolate and butter in small microwaveable bowl on high for 2 minutes, or until the butter is melted. Stir until chocolate is completely melted. Cool 5 minutes. Place one cake layer, top-side down, on serving plate. Spread cream cheese mixture *it will more likely go like this: spoon some, eat some, spoon some, eat some, etc. * onto the first layer. 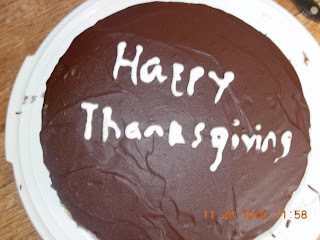 Cover with remaining cake layer, then spread melted chocolate and butter on the top. Voila! 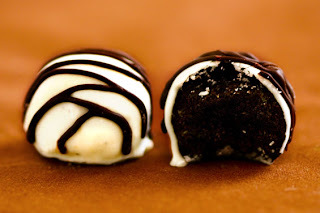 For fun, here are some links to other great Oreo recipes! Have a wonderful birthday celebration!